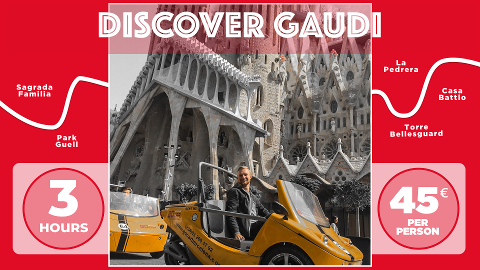 Book our Full Day Tour and pay just 40% of the total 3 tour cost (Discover Gaudi, Barcelona Experience and Beach & Shopping). 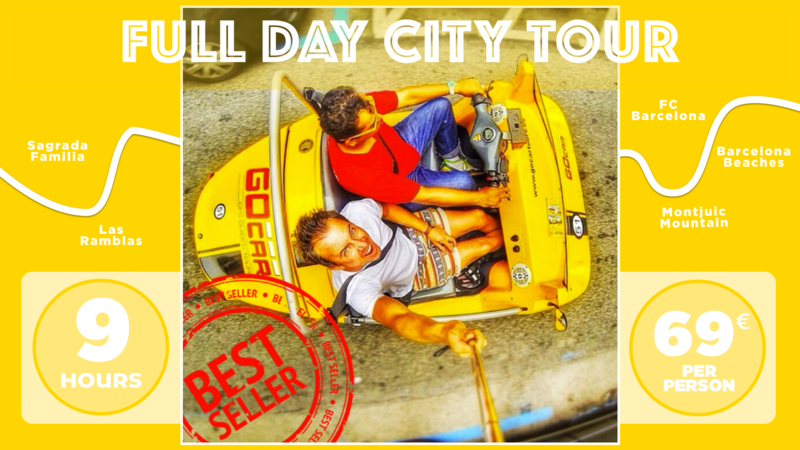 Forget the crowds and queues and spend your precious time exploring the whole of the city. 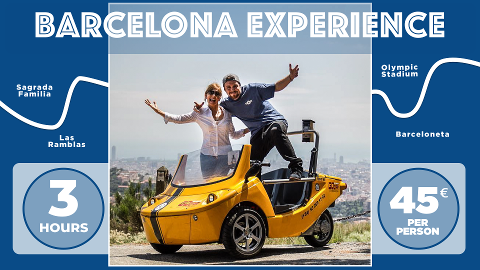 Perfect for cruise passengers with only the day in Barcelona. 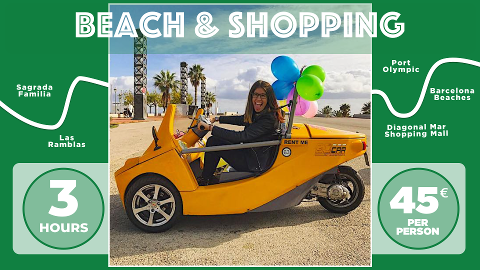 The Full Day Tour allows you to take your time, take detours, stop for shopping, visit the attractions, enjoy coffee and tapas in a secluded plaza or relax on the beach and soak up the sun. Of course you don't have to follow our tours. You can always go 'Freestyle' within the city limits. The choice is yours! Please note: for groups 4 cars or more our CDW is obligatory.